According to a new research the legacy of these deals can still be seen in the high profile given to smoking on today’s cinema screens. 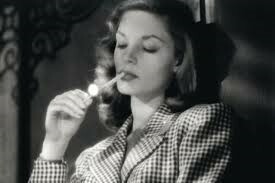 For the study, the research team accessed cigarette endorsement contracts between tobacco companies and studio-controlled movie stars, as well as adverts of the period, from university and major US newspaper archives. The period under investigation covered the years 1927 to 1951, from the advent of talk Smoke Signals. 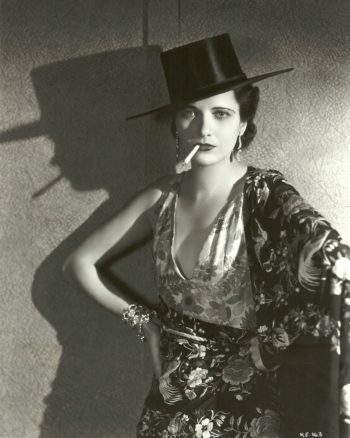 From the 1920s, women who were emancipated or elegant were rarely seen without a cigarette. With a casual blowing of smoke, Princess Margaret or Hilda Ogden could indicate their sexuality. Refinement was crucial to respectable smoking. Red Tip cigarettes were introduced in the 1930s to protect women from the sin of leaving a lipstick mark on cigarette butts. Is ‘smoking glamour pr’ a thing of the past? Or does it work the same in our days? Do cigarettes have the same allure for young women today in spite of all the knowledge there is about their harmful effects? As sales of packeted cigarettes fall, the old workingman’s way with tobacco is a new female fashion trend. Oh! 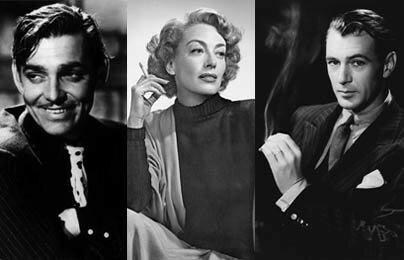 Did these Hollywood Stars look great holding those cigarettes! So beautiful! So sophisticated! As a consequence, many young girls from my generation, including myself, started smoking – in spite of cigarettes tasting awful, leaving an unpleasant after taste in your mouth, and as if this was not enough, cigarettes left your breath and clothing impregnated with a terrible smell – no one liked! But no one can deny these ladies looked fabulous with their cigarettes. They did the most fabulous PR job for those nasty little cylinders of paper that has even been done in history! What woman wouldn’t want to look like them? Of course you and I can laugh now at this immature approach to smoking! But one has to consider that many of us were quite ‘young and impressionable’ and also that at the time smoking was not only socially accepted, but it was considered ‘glamorous’. Most importantly – the general public ignored the deadly effects of smoking – so, we easily fell into the smoking trap. I was indeed an impressionable teenager with a vivid imagination surrounded by other California teens who like me wanted to be and look like the most beautiful people of the world, the Hollywood Stars! 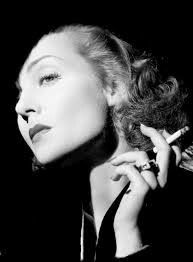 And being strong willed I didn’t just end up smoking but under contract as an actress with Universal Studios in Hollywood. 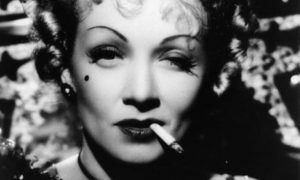 The good thing about my smoking habit was that it was based only in ‘wanting to look glamorous like those Hollywood Stars’ – that was really all that was behind it. So, it was easy for me to quit smoking when I realized that ‘the thing’ was not only unpleasant to the taste, but was also gradually destroying what was beautiful in everything: It made my home, furniture and clothing smell as if I had stepped out of a smokers den, and worst of all it also affected my breath, which started smelling like ‘a smoker’s breath’ – something I hated to smell near me before I started smoking. More alarming to me was the fact that I also realized that my voice was being affected, and voice is crucial for actors. I also noticed my skin, teeth and fingers yellowing some, they had indeed started to lose their natural healthy look and this was not my idea of ‘glamorous’ at all! So, realizing that although ‘the thing’ was a useful tool to use socially, its harmful side effects weighed more. So, I decided that I was not going to smoke any more and without thinking about it twice, I took the box of golden, thin cigarettes that I used to buy and threw them away! What is the most important thing to remember about my story? It is the fact that it was easy for me to quit because what was behind my smoking experience was a conscious choice with no subconscious root cause. That’s why it was easy for me to quit, not because I have a stronger will than anyone else. Remember that, for in order to free oneself from ‘the thing’ it is extremely important to know what the root cause behind your smoking habit is. If you have tried to quit and it has been impossible, or difficult for you to quit, do not despair, it is not because ‘I am not able to’ or ‘things just do not work out for me’ or ‘I don’t have will power’ or anything of the kind. It is indeed because behind your smoking habit there is a Subconscious Reason. If that is the case and you truly want to quit, you will have to find a deep therapy that is able to penetrate your SC find the root cause of this addiction and replace whatever it is for what is liberating to your SC. Once that this is done, you will be free and never want to smoke again or fear that if you stop smoking you will gain weight, which is a common fear amongst many who smoke. A satisfied Subconscious Mind doesn’t look for another outlet to ask for help. On the contrary, many people who stop smoking cold turkey without removing the SC problem they have attached to their smoking habit gain weight because their unresolved SC Mind is looking for an alternative symptom to be helped – it may be just gaining weight or any other symptom. See few of the Problems and the Testimonials of people that healed from them with Quantum Mind Therapy. The deepest and most direct therapy you can find. Shirley found herself getting to the core of her issue from the very first session, and saw the weight start coming off. This entry was posted in Free Yourself From Smoking, Stress, Anxiety, Chronic Fatigue on September 17, 2018 by Seventh Angel.